The short answer is: Emotion. How you felt during the time that the picture was taken heavily shapes how you will feel when you look at it later. A picture can look absolutely perfect to anyone else, but if you felt stiff and awkward in the moment, you won’t like it. That’s why I c r i n g e at the phrase ‘cheese’. I know it’s awkward being in front of a camera - trust me, that’s why I’m behind it!! The way to go is to forget all about the camera. To tell each other things that you love about the other person. To make each other laugh in a natural, spur-of-the-moment way. To steal kisses and do it often! When I photograph a couple, my absolute number one main goal is to give them an experience that makes them feel grounded, restored and more deeply connected. To give them a space to celebrate their relationship and their story. A space that enables them to dream wild and bold dreams about their future married life together. I couldn’t give a rubber duck about whether you’ve got the perfect smile or the perfect pose. I am allllll about connection over perfection. Because perfection is a Pinterest myth. 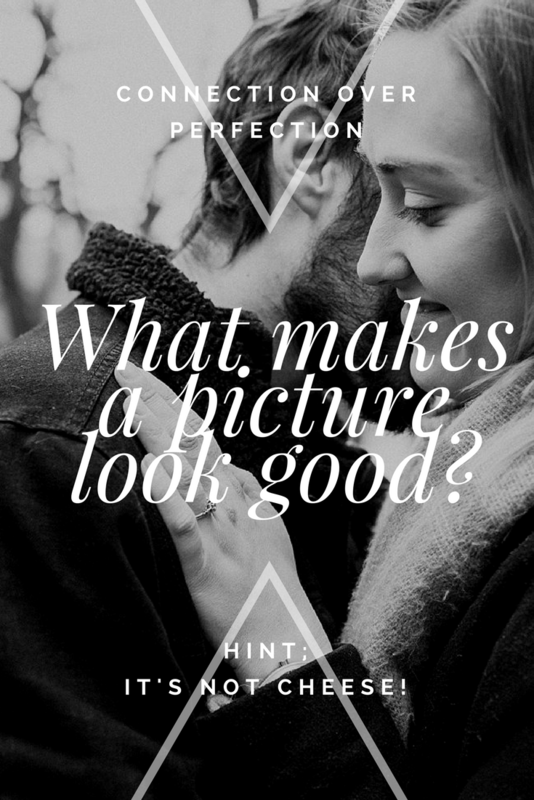 Shifting the focus to the beauty of their relationship, their story and the future of their married life together, she grounds her couples through a photography experience that makes them feel encouraged, restored, more deeply connected and even more in love with life than before.